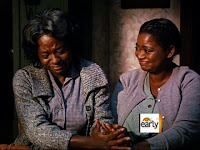 Jessica McQuinn...Life Happened: The Help - Adaptation Love? 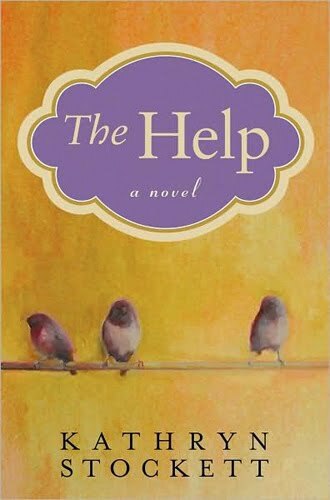 The book for my book club this past month was The Help by Kathryn Stockett and I was so excited to read it. Not only had I heard great things about the book, but the movie was coming out and I love when I can see a book come to life on the big screen. First, I absolutely loved the book! I thought that Stockett did a beautiful job of bringing all of the characters to life. I laughed at Minnie, and cried for Aibileen. I wanted to scream and yell at Hilly, and to shake Elizabeth. I was a little wary at first that Stockett changed the point of view from Aibileen to Minnie, to Skeeter, but once I got into the book, I found that it didn’t bother me. In fact, I think that the book worked well that way, and I loved being able to be in all the character’s heads. So, going into the movie, I was very excited. The last adaptation that I had seen was Water for Elephants, and I absolutely loved it (see previous post!) and thought that they did such a great job keeping the movie in line with the book. I had heard good things about this one too. It was on that girls’ weekend (with a few of my book club girls) that we decided to go see The Help. We got our snacks, made bathroom stops (because we definitely didn’t want to miss a minute), and staked out our seats at the top of the theater. The one thing I forgot was tissue! I will say that I loved the movie. But not because it did such a great job adapting the book. I loved the movie just as a movie itself. If I hadn’t read the book, I would have come out of the movie still feeling the same way. The acting was spectacular, the story was still compelling and I cried and cried. Some of the differences that bothered me a little were mainly with a minor character in the book but one that was so much more important in the movie. Elizabeth Leefolt. In the movie Aibileen makes a comment about her having “the depression” after Mae Mobley was born – I didn’t remember that being the case in the book? Now I can appreciate Post-partum depression, but I think this change, for me, made Elizabeth a different character. I think the screenwriters were trying to maybe make her more likable? I don’t know, but for some reason that little detail bothered me. I honestly didn’t think that I cold dislike someone in the movie more than I disliked Hilly in the book, but I disliked Elizabeth more than Hilly. Hilly made no qualms about what she thought of the colored people in her life. She thought that they were second class citizens and she was willing to take out an “ad” about it in the Junior League Newsletter. But Elizabeth was just weak. She never thought for herself. It made me angry through the whole movie! I did love Minnie in the movie and she was exactly what I pictured. I loved the interaction and the friendship between her and Aibileen. I think that it’s a rare occasion that an adaptation is a good movie, but different enough from what I loved from a book, yet I still love them both. So if you haven’t already. Read The Help, and go see the movie. OH! And don’t forget the tissues, you’ll need them! One last thing…Omnific is having a sale! Two of our “school” titles are on sale and you can get the ebooks for just 99₵ each! Go pick up Nicki Elson’s Three Daves AND (they’re only 99₵!!) Jess Bowen’s Breaking Point and start the school year right! AND...guess what!! There's a new blog hop in town!! And I'm all over it!! What's the Author! Author! Blog Bounce?? Well, it's a fun way for readers to find new authors and for authors to connect with their readers! Authors, all you have to do is grab the icon, grab the link, make a blog post (don't forget to include the link! ), and enter your blog on our list. Easy peasy! Readers...you have the easy job. Just follow the bounce and visit the authors. Leave a comment and let them know that you were there. Great to hear your comments. I'm looking forward to seeing this. The first I heard about this book was through the legal conflict between Stockett and the maid who claim Aibileen was based on her. I've wanted to read it since then but haven't gotten around to it yet. I may have to cheat and watch the movie first. Hey Jessica, I agree with you that I loved the book and the movie (which is rare) and the movie can certainly stand on its own, not just as an adaptation. I'd read the book a couple of years ago so I didn't notice the change in discussing Elizabeth's post partum depression. Hilly was so deliciously evil that it was almost fun to watch her. I remember a conversation at the pool between Skeeter and Hilly that I really loved in the book that wasn't in the movie. I also noticed the scene with the male intruder in the blond bombshell's backyard (I can't remember her name) was deleted.